My name is Leonard Lewis. I was born in Jamaica, raised on a farm, and now living in the United States. From a young man, I always had an interest in herbal products, particularly the healing qualities of herbal products. I have been working on an herbal product for years. This product is called Cumsee Lotion. People are using Cumsee Lotion all over the world. This is a product many are stating relieves pain, improves circulation, reverses Type II diabetes, improves eyesight, and betters the texture of the skin. I studied for 4 years at West Indies College. I moved to the United States, shortly after, where I attended and graduating from Andrews University in Michigan. 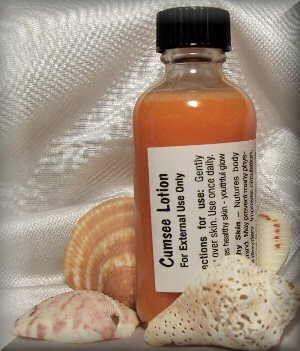 I brought Cumsee Lotion, a product derived from the Annatto plant, to public attention. I originally planned to market his product as a skin care lotion, but changed my marketing purpose after introducing it to residents, and seeing miraculous results. A physician endorsed the Cumsee lotion, after he saw improved results in the condition of his patients suffering from skin sores.